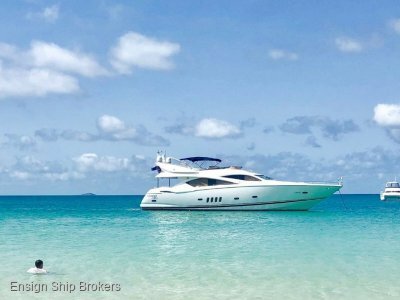 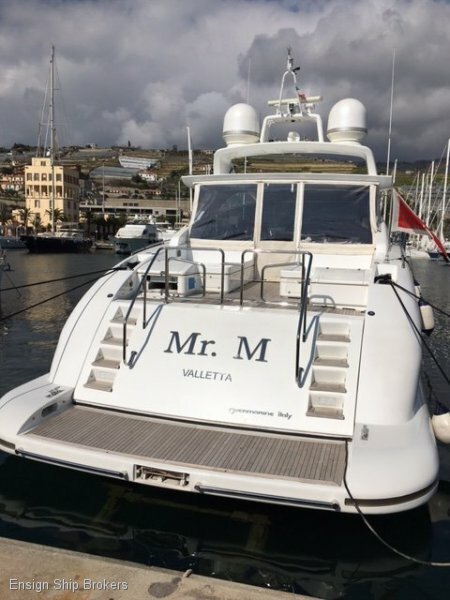 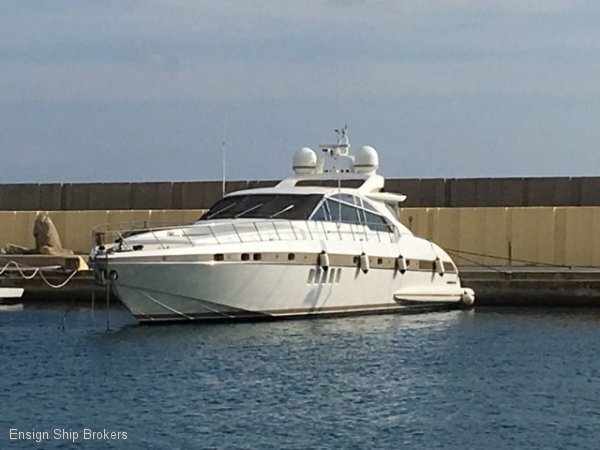 Beautifully presented Motor Yacht (re-painted 2013) that is well suited to the role of corporate entertainer or idyllic get away for the whole family. 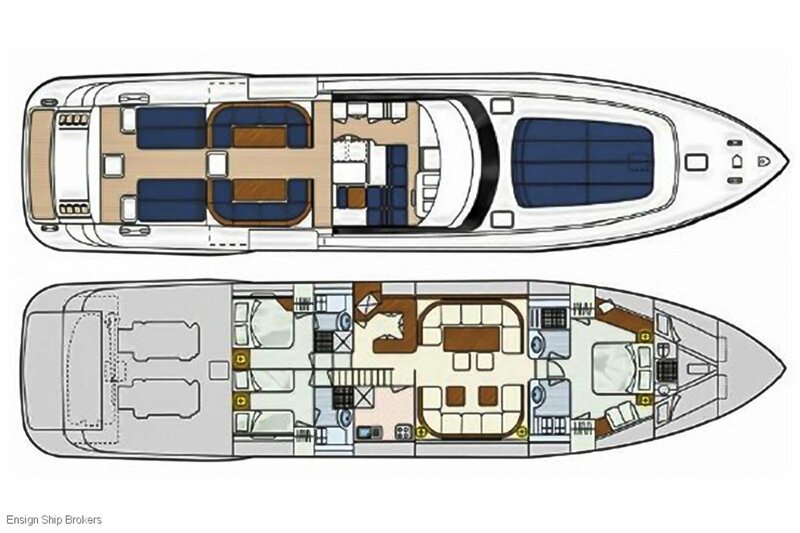 A superb layout sees the cockpit flow into the saloon for an open style that is perfect for entertaining. 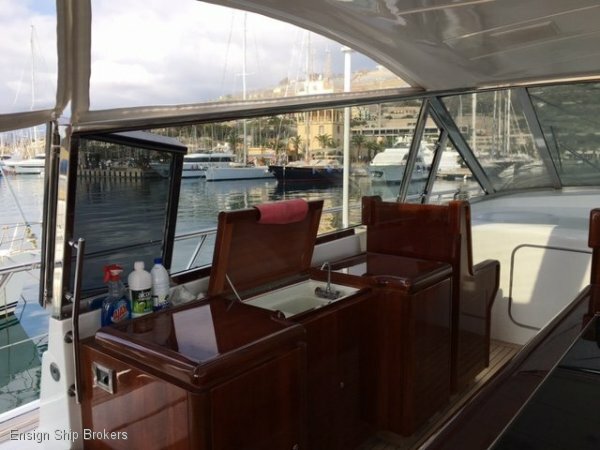 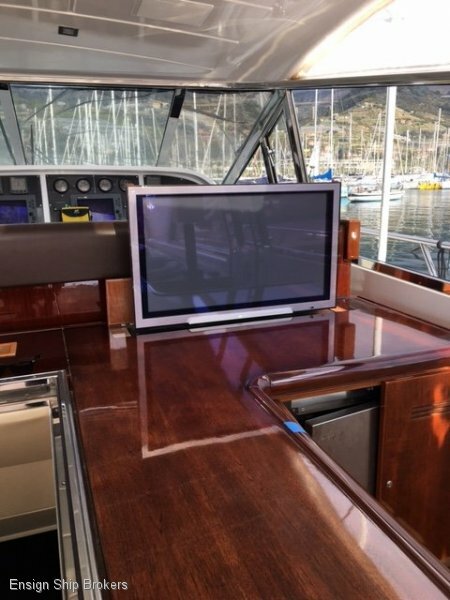 Complete with functional bar, refrigeration and entertainment the opportunities are enormous for the sheer fun you will have on this vessel. 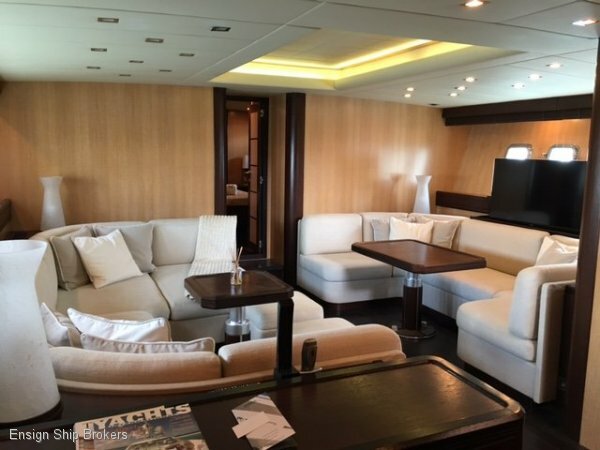 Forward sunbed relaxation area with easy access from the saloon adds to the enviable lifestyle your bound to enjoy. 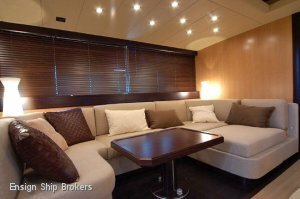 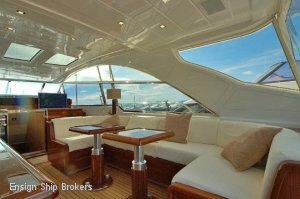 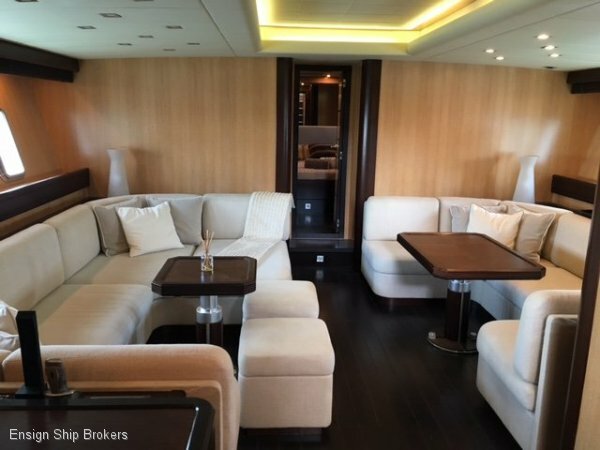 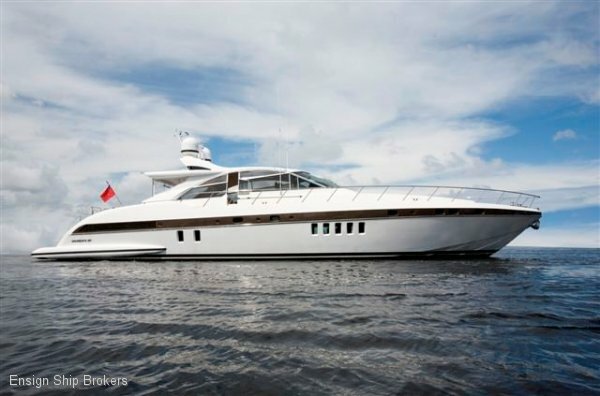 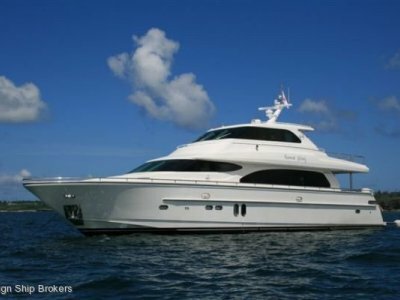 The lower level features two luxurious lounges with separate galley and more formal bar area. 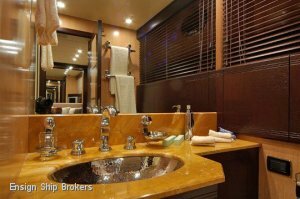 3 stunning bedrooms complete with ensuites provide comfortable accommodation for 7 adults. 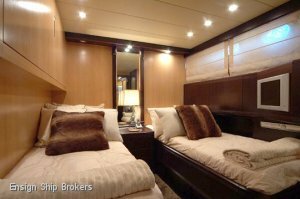 In addition, a forward separate crew area offers sleeping for 2 with ensuite. 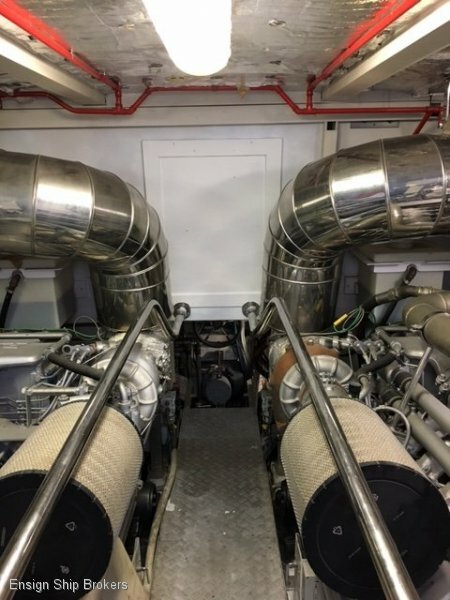 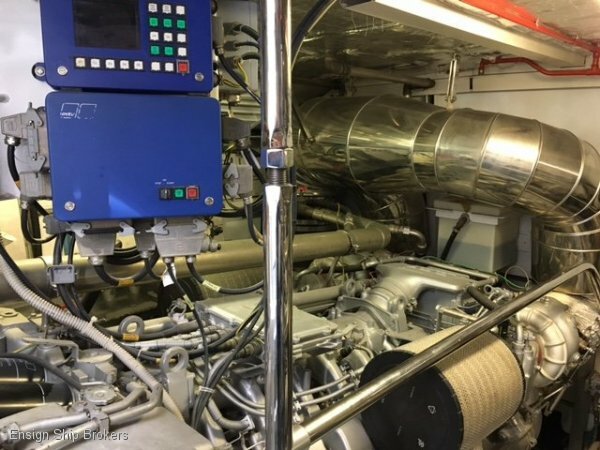 Keeping the wow factor real are twin MTU engines boasting 2000 hp a side for easy 30 knots plus crusing performance. 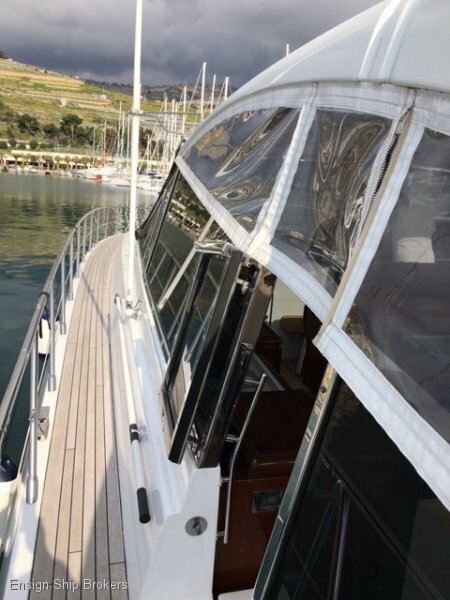 With a refit in 2014, the engines are in excellent condition with only 1,300 hours and full service history. 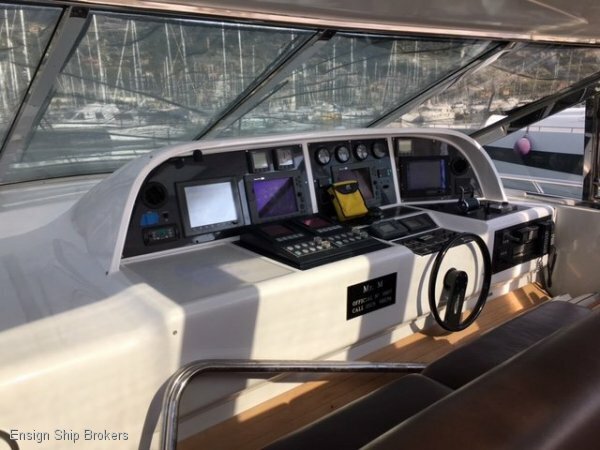 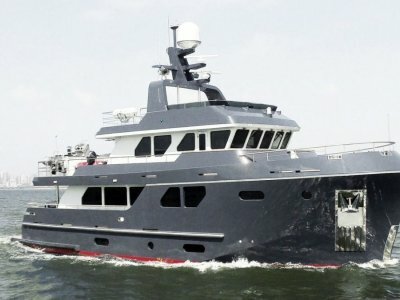 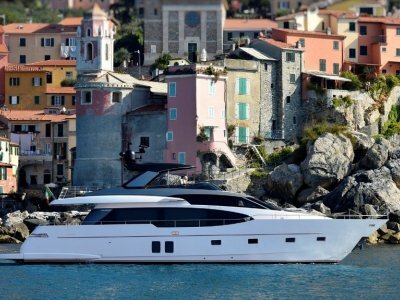 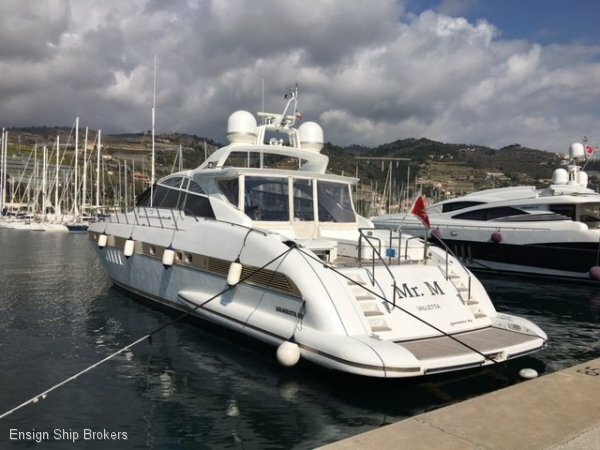 Currently located in South France, this is an excellent opportunity to take delivery and enjoy a season in the Med before bringing the vessel to Australia if that’s what you have in mind. 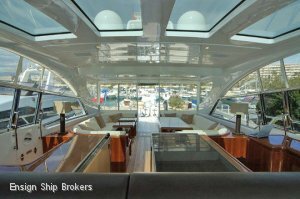 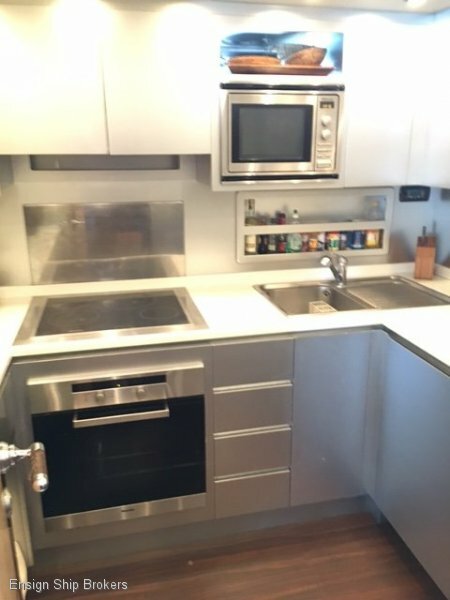 Of course our experienced company can assist with everything required to make the entire process a thoroughly enjoyable and once in a lifetime experience for you. 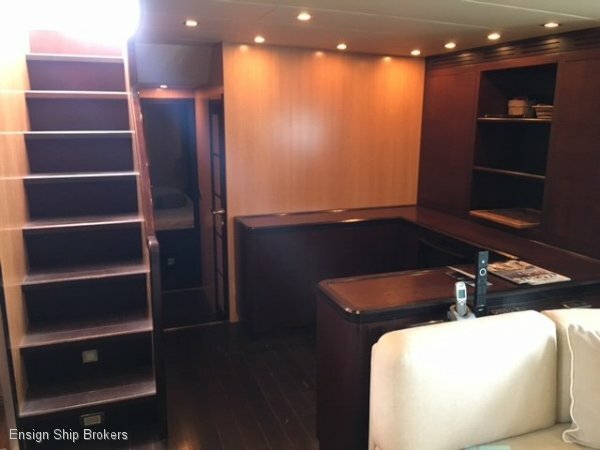 SALOON: Lower level formal saloon area plus more casual entertaining zone to the extended cockpit area. 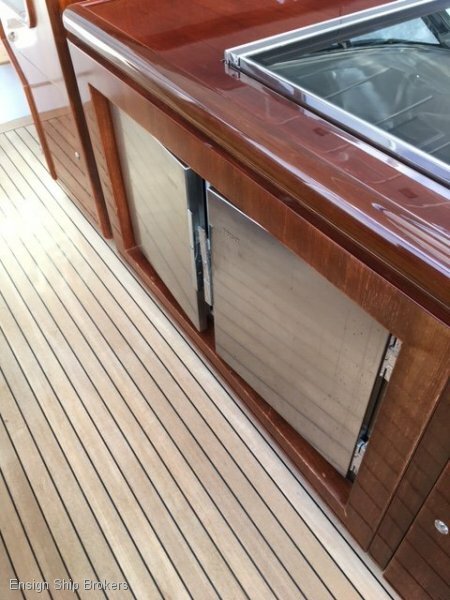 Feature timberwork throughout. 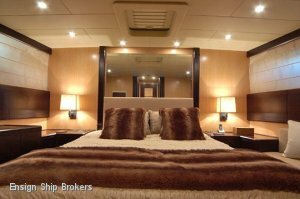 3 Cabins - 2 x Double bed, 1 x Twin single + Pullman, Plus forward crew room with ensuite.